Try The World gourmet food boxes feature items from around the world, curated by famous chefs. 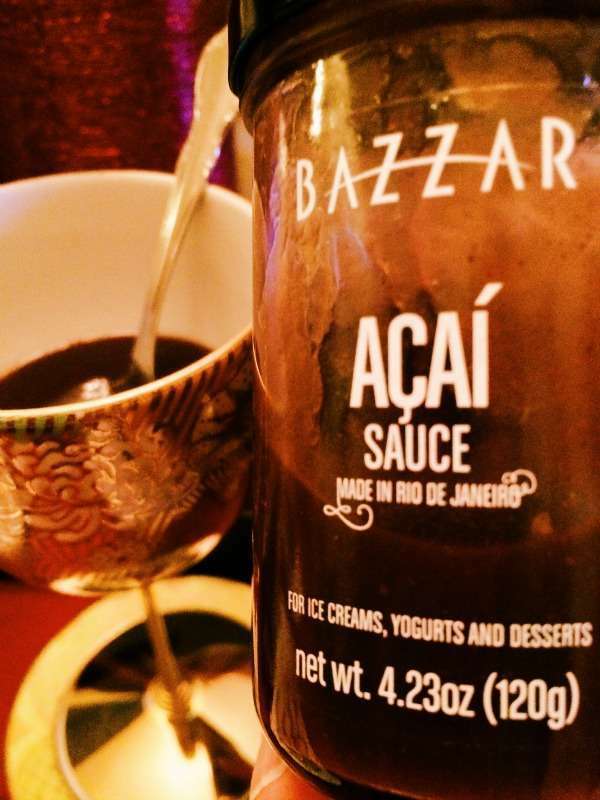 Each gourmet item is created by small or family-owned businesses who follow artisanal methods of production. 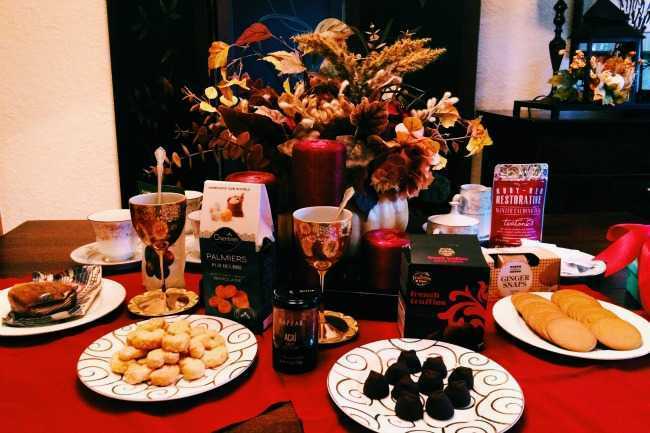 I received a free Try The World Holiday Box for the purpose of this review. All opinions are my own. Try The World was created by two New Yorkers who shared a passion for travel and food. In 2013, Try The World launched its first prototype, The Paris Gourmet Food Box, which sold out within 2 days! Since the company’s launch, close to one million items have been imported and shipped to those who are passionate about food and travel. How Does Try The World Work? You can subscribe to Try The World or give a box as a gift. 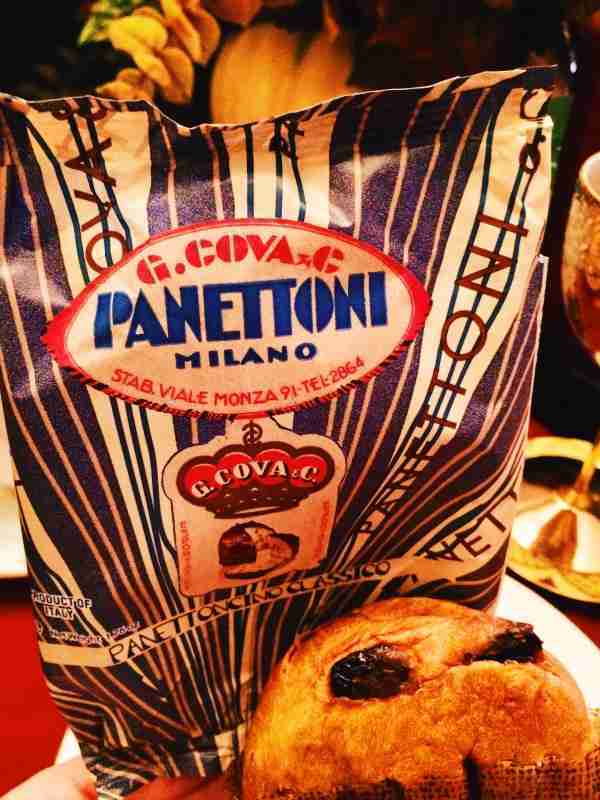 Try The World subscribers receive a box of gourmet goodies from a new country every 2 months. The boxes are curated by famous chefs from around the world who select authentic, high-quality items. 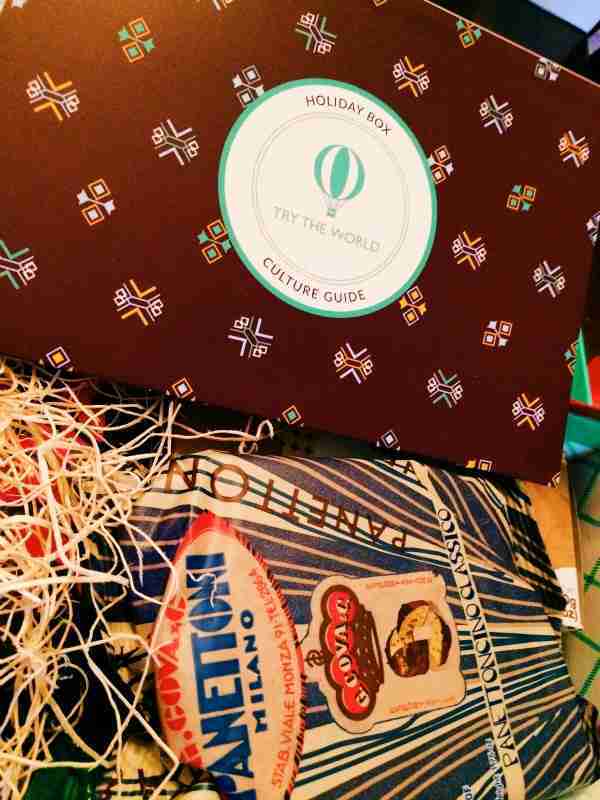 Each box comes with a Culture Guide that includes the story behind each food item, recipe ideas, and tips to best experience the country’s culinary culture (including a curated music playlist). The Try The World Holiday Box is available now through December and is filled with 8 holiday treats from around the world. 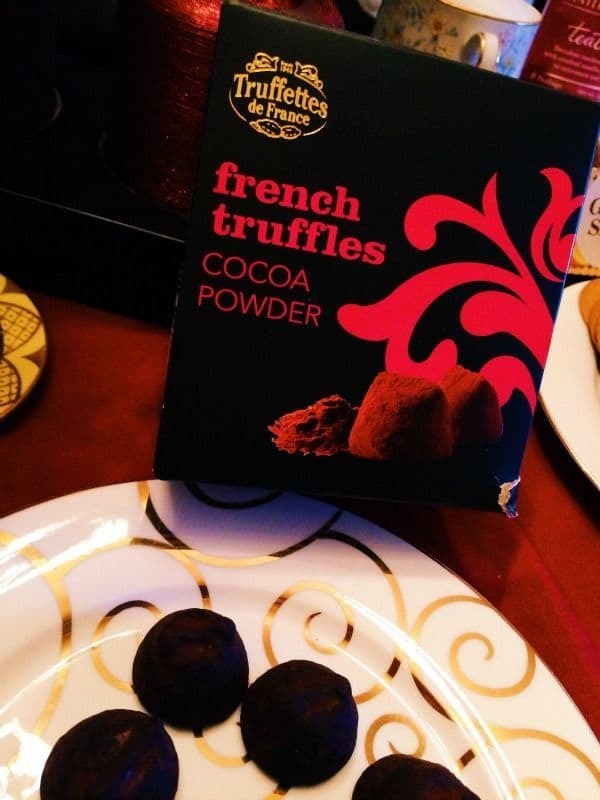 This special edition box is curated by food and wine expert David Rosengarten (James Beard Award winner and host of countless Food Network shows) and includes cookies, truffles, and tea. 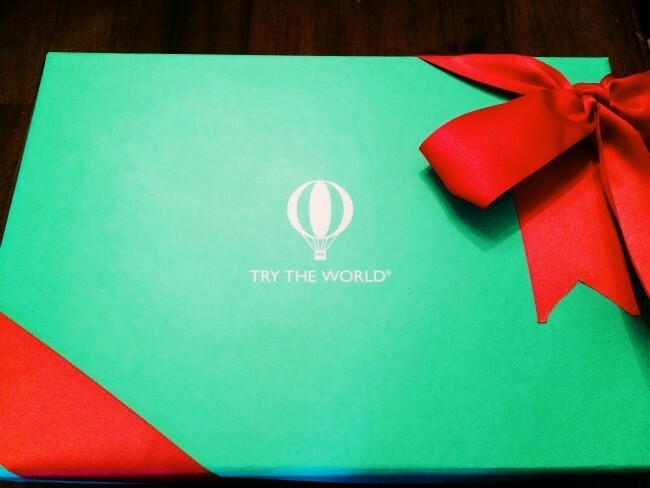 I absolutely loved everything about the Try The World Holiday Gift Box! There is so much thought and care put into each detail. 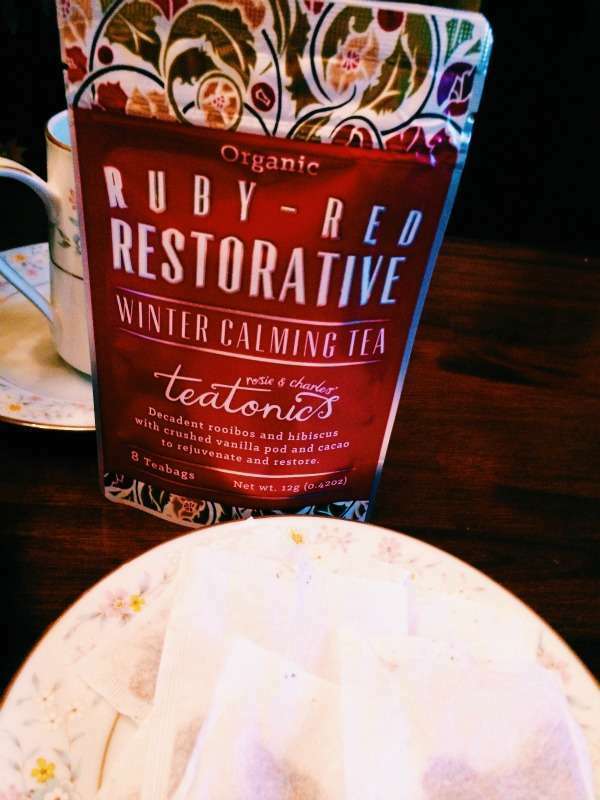 The packaging is lovely and would be a beautiful gift to give this holiday season. 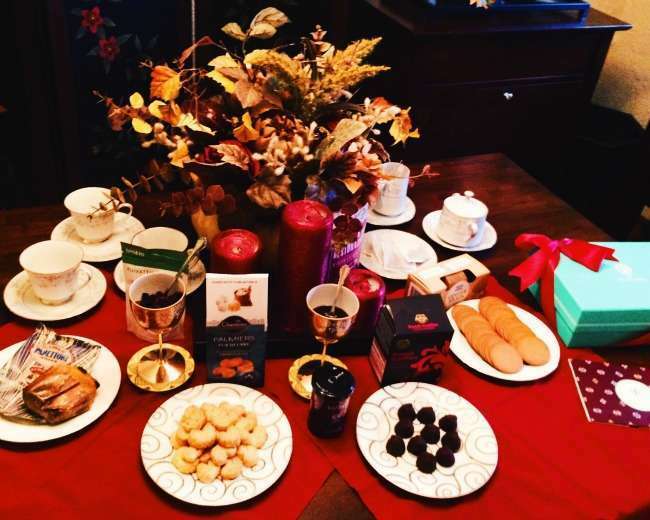 Each goodie in the box was something special and my guests and I enjoyed trying each item. The Culture Guide featured insightful background about each product. 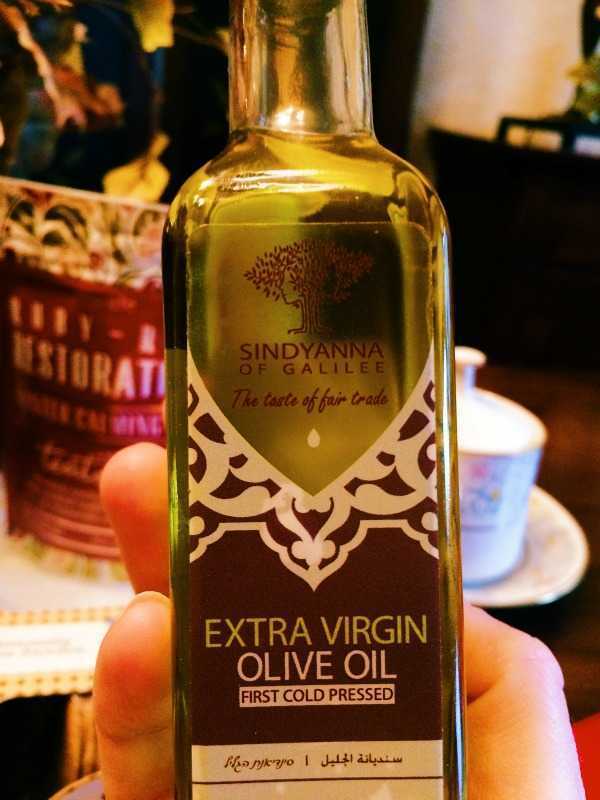 My favorite story was that of the Sindyanna of Galilee Olive Oil which is grown and harvested by a cooperative of Arab and Jewish women in northern Isreal. The mission of the cooperative fosters unity in a territory whose ownership is contested by the very groups the company brings together. Each item had an ingredient list in English. Many of the products were organic and/or produced using sustainable growing practices which is a huge plus for me. Try The World would make a wonderful gift for anyone who appreciates gourmet food and loves to travel or dreams of traveling. Try The World is a wonderful way to experience new cuisines, learn about other cultures, and support small companies and the communities they serve. Click to learn more or to purchase a Try The World subscription or gift box. Disclosure: for everyone who purchases through this link, I receive $15 to use at the Try The World eShop and they get $15 off their first gift box purchase through The Try The World Referral Program. Thank you for dropping by The Mindful Shopper! I absolutely LOVE it when you stop by! We had so much fun trying all of these fantastic items! Yum! I have the holiday box and the Argentina box, and I have to say that they are absolutely amazing. I cannot wait to try some of the other boxes the company offers! Ohhh, the Argentina box sounds like fun! Thanks for commenting!